When you’re young and healthy, creating a will isn’t something that is high on your to do list, but it should be. You’re a responsible parent and you only want what is best for your children. You’ve already made sure that your child has the safest crib, stroller, and car seat. Now it’s time that you do a little more to protect your family and their future: create your will. Why do I need a will? I’m young and healthy. Who is going to take care of your children? If you’re a parent, you want to make sure that your children are well taken care of in the event of a catastrophe. Who is going to take care of them? Don’t lose your power to choose. Who is going to manage your children’s finances and how will they do it? If you don’t instruct who will take care of your children’s finances and how they will inherit it, the court will decide for you. Ultimately, your children may receive a large lump sum when they turn 18 and spend it unwisely. Through a will, you can create a trust that will determine when and how that money is spent. Who will make your financial decisions for you if you can’t? In the event you become prematurely incapacitated, a trusted person that you designate can make your financial decisions for you. If you don’t have a will with a power of attorney, your incapacity could cause even more trouble. Who will make your medical decisions for you if you can’t? If you become prematurely incapacitated, a trusted person that you designate can make your medical decisions for you. If you don’t have a will with a medical power of attorney, your incapacity could cause more problems. Who decides how you will be treated if you are deathly ill? If you have an idea of how you would like to be treated if you are deathly sick, it is important that you set it out in your will so you can be sure to be treated that way. If you don’t, you leave that decision for your doctors and loved ones to argue over. If only you pass away, the surviving parent will automatically gain custody of the children unless the surviving parent does not want custody, the court finds that the surviving parent is unfit, or the surviving parents’ parental rights were terminated in another legal proceeding. If both of you pass away without creating a will, a judge will decide who will take care and raise your children. The court will not honor your wishes and concerns unless they are voiced in a will. The court may end up appointing a guardian for your children based simply on who applied to be the guardian of their children – which may yield an undesired result. What happens to my property and belongings if I don’t have a will or trust? If you don’t have a will, your real property and personal property will pass through what is known as intestate succession. In California, if you pass away with a spouse and children, your spouse is entitled to all of the community property and up to half of your separate property. Generally, community property is property acquired during marriage unless it was gifted or inherited and separate property is property acquired before marriage. If you pass away with children, but with no spouse, your children will inherit everything. These results may sound acceptable to you, however, they may have unintended consequences. Without a will, the court will appoint a guardian to raise them and handle the child’s estate, which can be very costly and time-consuming. Do I need a lawyer to create my will or trust? No. A will or trust that you create yourself will be upheld if you do it properly. There are plenty of books and other materials available for you to do your will or trust on you own. 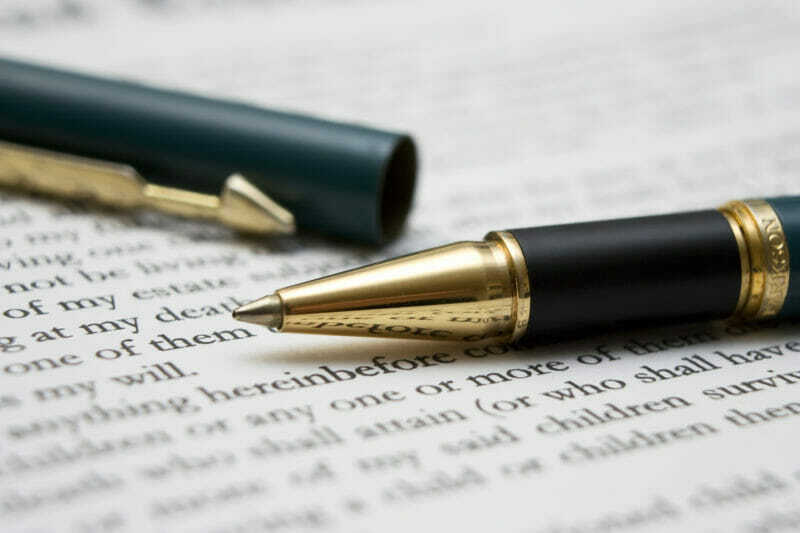 But if you want to save yourself the trouble of pouring over pages and pages of legalese and don’t want to risk making a costly mistake, a skilled attorney will be able to help you. When you’re ready to create your own will or trust, Lem Garcia Law is there for you. Planning for the future today, can prevent a lot of problems and heartache tomorrow. Create your own will or trust today. Call West Covina Attorney, Lem Garcia. (626) 337-1111.